As a Forex trader, you like to make pips. And anything that gets in the way of that should immediately be deemed a problem. One commonly overlooked problem that both amateur and professional investors face in their trading is a strong, stable, low-latency internet connection. A slow internet connection can give you faulty price quotes, causing you to make mistakes and enter at less-than-desirable price levels. Whether the problem lies in your own ISP, unpredictable weather patterns, or you’re simply located in an area where painfully slow internet connections are common, just understand that as a trader without a crystal clear internet connection, you’re losing money. The solution to any trader’s internet connection problems can be found in a high-quality Forex virtual private server (VPS). A Forex VPS is a hosting service used by traders to allow them to run their own expert advisor’s (EA’s), indicators, or strategies on a server separate from their own home computer. This allows automated EA’s to run 24/7 without connection interruptions, and with that, trade’s can be executed and pips made even if a trader’s home internet cuts out, a power outage occurs, or a system error takes over. Even though there are typically several Forex VPS located on a single server, they operate independently of each other. With your very own Forex VPS, you’re still able to install your own operating system, reboot your system at will, and are guaranteed a specific amount of storage space, memory, and data transfer per month. For Forex traders, a VPS offers a powerful combination of flexibility, stability, and convenience. Still not convinced a Forex VPS is right for you and your trading account? Here are four reasons why you should trade on a VPS instead of directly through your own home PC. 1. Trade Forex Anywhere – If you prefer to trade from a desktop PC and not a laptop, then you’re basically stuck in a single location – wherever your PC is physically housed. Don’t want to spend money on an expensive tablet? Does your Forex broker’s trading platform not support mobile trading? Well, by using a Forex VPS, you’re able to connect your broker, platform, and strategies while in virtually any location with a network connection. Places like hotels, airports, cyber cafes, coffee shops, the beach, and practically wherever you like. 2. Trade Without Power – Power outages happen without warning. If you’re in an open trading position and the power shuts off, you’re in a sticky situation. Trader’s who rely on automated strategies and techniques are especially vulnerable in these types of situations. But with a VPS, you can still rely on your automated trading systems to function properly, even without electricity. Earning money with the lights off is a rewarding feeling in itself. 3. Detailed Security – The best Forex VPS providers will take extra security measures to ensure the safety of your server and its data. A good VPS company maintains their own servers, where they can regularly check up on their equipment to make sure everything is safe and fully operational. In fact, most companies guarantee a 99.99% server up-time. Anti-virus and DDoS protection, as well as high-level encryption methods, should also be included with your Forex VPS service. 4. Kill Slippage – As most traders know all too well – particularly scalpers – price slippage affects your ability to make money through your trading. For instance, say you place a Buy order for USD/JPY at 106.80. You wait for your internet connection to communicate this information to your trading platform and broker. After several seconds of waiting on your sluggish connection to play catch up, you come to find that your order order is filled at 106.82, two points above where you wanted to enter. Price has now dipped back to its previous range, so not only are you now losing money, you’re aggravated to say the least. A two-point difference may not sound like much, but in a game of inches, every pip counts. With a Forex VPS, your trades are executed much quicker because the data is transmitted at a faster rate, unhindered by the programs slowing down your own PC. Through a VPS, you’re guaranteed to experience less delays, slippage, losses, and zero unpredictability. ForexVPSHosting.net is a privately-owned hosting company established in 2004. They operate servers in three European data centers, locations include: Cyprus, Malta, and the United Kingdom. The founder’s claim to have over 10 years of experience in marketing and branding for the gaming, Forex, and binary options industries. The company is licensed and headquartered in Cyprus. Each Forex VPS includes RDP access, automatic backups, and the latest version of MetaTrader 4 already installed on the server. Their Forex servers are compatible with all Forex brokers and trading platforms. ForexVPSHosting may be a good fit if your resource needs are low, and although it is unfortunate the company does not specify their data transfer rates or hardware, they’re a solid starter solution. FxsVPS is a subsidiary of FxSuccess Ltd. and was founded in 2013 in the UK by professional traders and market analysts. The company uses its servers in London, New York, Frankfurt, and Amsterdam to service individual investors, algorithmic trading firms, and even large financial institutions. Aside from their Economy and Exclusive VPS plans, FxsVPS also offers a free VPS option, though this is not recommended if you’re trading in large lots or trade as a profession. FxsVPS will also throw in 200 MB RAM for free on each new order, which is a plus. Great hardware, low latency, excellent prices – recommended. BeeksFinancialCloud was founded in 2011, headquartered in London, and provides low-latency VPS solutions to retail traders. The company has servers in seven global data centers and was founded by business and investment professionals. Several of the world’s largest Forex brokers even white label Beek’s services. To have your Forex VPS “managed” by Beek’s staff, you would need to pay an additional $20 per month, while daily hard drive backups cost $5 a month. Their fibre-optic network lines are capable of transferring data at speeds between 1 Gbps and 10 Gbps. While their prices are not the best, the company’s commitment to quality and retail Forex traders is hard to match. Established by IT professionals in 2015, TradingFxVPS has servers in four strategic locations, including: New York, London, Amsterdam, and Frankfurt. They use the latest equipment from H&P, Dell, Intel and IBM, which includes blazing fast SSD drives equipped with RAID-10, as well as Hyper-V and VMware virtualization technology. TradingFxVPS caters to traders and firms utilizing complex automated trading techniques. TradingFxVPS allows up to five simultaneous MT4 connections and guarantees >1 millisecond latency to more than 100 Forex brokers worldwide. While TradingFxVPS is a great Forex VPS provider, scaling servers to fit large resource-intensive needs may be a problem. Unfortunately eForexVPS does not provide any company background information. They also appear to resell their services, which is not ideal. Luckily, they make up for it by supporting any MT4 and MT5 EA, trading platform, and Fore broker, and offer multiple US and European server locations. Each Forex VPS also includes a pre-installed MT4, provides mobile access, firewall protection, and can run on various Linux and Windows operating systems. Overall, eForexVPS is a reliable VPS provider capable of executing multiple trades from multiple accounts instantaneously, and is suitable for investors of all sizes. ForexVPS.net was formed in 2013 and is owned by ThinkHuge Ltd. The company offers a full suite of Forex trading services, including Forex signals, a MT4 trade copier, Forex broker solutions, and even a free Forex VPS. Their VPS servers leverage the power of SSD hard drives, KVM-based virtualization, and connections to 1 Gbps network ports. Each VPS package from ForexVPS.net can run on the Windows Server 2008 or 2012 operating systems, and includes residual automatic backups, Java VNC access, and web-based control. Available server locations include: New York, London, Manchester, or Zurich. 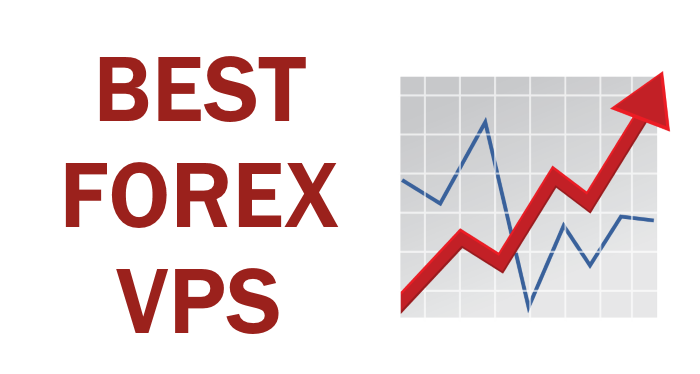 While every server is certainly optimized for Forex trading, we just wish ForexVPS.net would offer larger VPS packages and an option to add more storage space. Host4ASP.net has been operational since 2014. Their focus lies in providing quality hosting solutions to .NET developers. Host4ASP uses the latest Windows hosting technology and rely on multi-layer network services to deliver blazing fast loading speeds. Each customized VPS from Host4ASP runs on Hyper-V virtualization technology and is compatible with Windows 2008 and 2012 R2 Standard Edition platforms. While their prices are just decent, Host4ASP.net should definitely be a top consideration for EA users and programmers because of the developer-friendly environment. GigaPros is a Los Angeles-based hosting provider who has experienced steady growth since their inception in 2008. They own and maintain their own servers inside three US data centers, with available locations in Dallas, Denver, and Chicago. GigaPros has received over a dozen awards and accolades from industry websites and authorities. Even though they do resell their services, the company enforces a strict Zero Overselling Policy. Each server is fully-managed and includes your choices of CentOS 5 or CentOS 6 operating system, remote FTP access, one dedicated IP address, and access to numerous developer tools. A 2 GB FTP backup costs $11.40 per year. Great value, good prices. PhotonVPS was established in 2001 and is based in Los Angeles, California where the company maintains its own servers and Tier-4 network. To ensure super-low latency and 24/7 trading uptime, PhotonVPS isolates their Forex VPS servers from their standard VPS processors. Available data center locations include Los Angeles, Ashburn, or London. PhotonVPS deserves to be ranked as one of the best Forex VPS providers in the world, thanks in large part to their state-of-the-art hosting equipment, compatibility with all Forex brokers and any EA, and superb prices. If you trade Forex on the MetaTrader platform, choose PhotonVPS. FxVM was founded in 2013 and is owned by ThinkHuge Ltd. FxVM maintains servers in multiple data centers, with available locations including: New York, London, Amsterdam, Zurich, and Tokyo. The company’s infrastructure is optimized to minimize latency, effectively eliminating slippage altogether. Traders can install a number of popular trading platforms, including MT4 and MT5, TradeStation, Ninja Trader, Currenex, and more. They welcome all EA’s and major Forex brokers, with support technicians capable of helping traders install and modify their EA’s and indicators at no cost.entical prices. Each Forex-optimized VPS from FxVM can run on various Linux or Windows platforms and utilizes Xen virtualization. Overall, FxVM is a hosting company created by traders for traders. They stand out by offering affordable solutions capable of satisfying everyone from the small retail trader to large hedge funds and financial institutions. Highly recommended Forex VPS provider to those really looking to take their automated trading strategies to the next level.